Tired of dealing with your fine or thin hair? 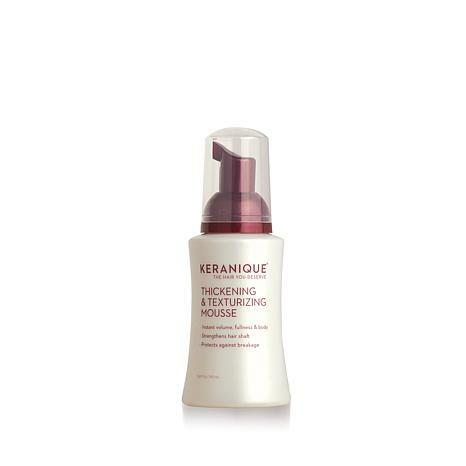 This mousse is the perfect way to handle those blah locks. 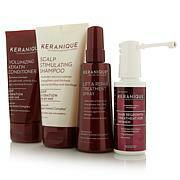 Formulated with the Keratin Amino Complex, it adds instant volume, lift, fullness, body and bounce to hair. Take your hair to a whole new level, and love the look you see. Ingredients: Water/Aqua/Eau, Polyquaternium-11, PEG-12 Dimethicone, Oleth-20, Sodium Lauroyl Oat Amino Acids, Hydrolyzed Vegetable Protein PG-Propyl Silanetriol, Keratin Amino Acids, Silk Amino Acids, Hydrolyzed Collagen, Hydrolyzed Elastin, Arginine, Biotin, Acetyl Tyrosine, Calcium Pantothenate, Zinc Gluconate, Niacinamide, Hydrolyzed Soy Protein, Glucosamine HCl, Ornithine HCl, Phytantriol, Tocopheryl Acetate, Mauritia Flexuosa Fruit Oil, Arctium Majus Root Extract, Panthenol, Panax Ginseng Root Extract, Trimethylsiloxyamodimethicone, Citrulline, Citric Acid, C11-15 Pareth-7, C12-16 Pareth-9, Glycerin, Trideceth-12, Sodium Hydroxide, Hexylene Glycol, Fragrance (Parfum), Caprylyl Glycol Ethylhexylglycerin, Disodium EDTA, Phenoxyethanol, Cetrimonium Chloride, Chlorphenesin, Alpha-Isomethyl Ionone, Butylphenyl Methylpropional, Cinnamyl Alcohol, Coumarin, Geraniol, Hexyl Cinnamal, Hydroxycitronellal, Isoeugenol, Limonene, Linalool. 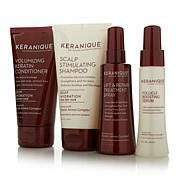 Since I started using Keranique I year ago its made my hair look so good. I have very fine short hair with thinning on the top. I love this product I would not use anything else. Thanks KERANIQUE! Definitely does what it said it would. My fine hair looks thicker! This product has changed my hair for the better. 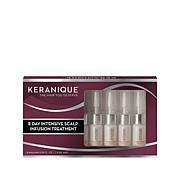 It is easy to use and the volume it gives my hair is great!